"For the Best Trees and Plants On Earth...Go Straight to the Moon!" Click here to check out the Moon Valley Nursery website! At Moon Valley Nurseries we pride ourselves on providing all of our customers with the absolute best customer service, the biggest and best selection of trees and plants, and grower direct low prices. We know there are a lot of places you can find reviews online about where to go for all of your landscaping needs. Instead of jumping around online to numerous sites we’ve decide to pull all of our reviews from various review sites into one location. 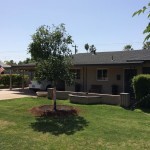 Moon Valley Nursery, Inc. is a retail and wholesale tree and plant nursery that has been serving the Western United States for over twenty years. Since the beginning, we have operated as a family owned company and still do to this day. Where our reviews come from. 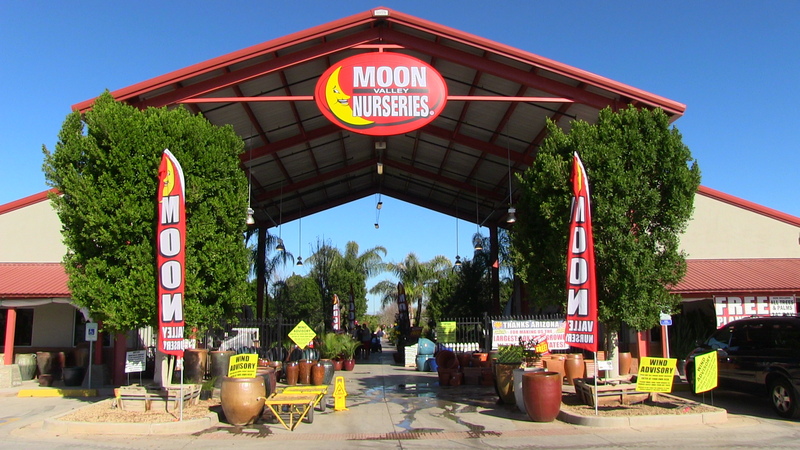 Find your nearest Moon Valley Nursery Here! Today my beautiful trees were delivered to me and the entire experience was a great pleasure. Dalton Coia, landscape foreman, was professional, knowledgeable, Courteous and efficient. He and his crew accomplished the task as hand quietly and efficiently. Well done to you Dalton and your crew!!!!! 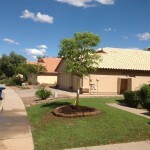 My trees are beautiful and happy in their new home, just as I am living here in beautiful Henderson, Nevada. Thank you Moon Valley for employing such a great guy and for selling such beautiful trees. You will definitely see me again. I awoke today excited because I was due to receive delivery on 3 new trees I purchased from Moon Valle Nurseries in Irvine, CA. I couldn’t wait to see the instant change they would make in my backyard – and i wasn’t disappointed. Mark and his crew of Jose, Angel, Jose V and Carlos arrived early and anxious to get those trees into the ground. I had marked the spot where I thought i wanted them planted but decided to have one tree moved slightly. They could not have been more willing to do what was necessary to make me a happy customer. The trees are in, magic juice applied and they cleaned the place all up before they zipped off to their next customer. I will definitely use Moon Valley for my next tree purchase!!! With luck this same awesome crew will service me again. The selection was the BEST! When it came time to planting (a 36″ box huge tree), the guys were great….they were on time for delivery, respectful to the property and had a “get it done” attitude. Thank you! All-Around Awesome Plant Shopping Experience!!!! I have nothing but GREAT things to say about this place!!! I have been coming here for about 2 months now for all my plant needs and each time I go here I am given a friendly greeting by the staff and they go above and beyond to make sure that I am well taken care of. Go here if you’re looking for an all-around awesome plant shopping experience! My wife and I have used Moon Valley at two different locations since 1992 and always had GREAT service and products! My favorite nursery by far . . . I truly cannot say enough positive about Moon Valley Nursery. My favorite location to buy all of my landscape needs is the nursery on 7th Street. Partly because they always have wonderful specimens in stock that are healthy and well cared for….but mostly because of the great customer service, attention and advice I receive. "For the Best Trees and Plants On Earth... Go Straight to the Moon!" The logos above are owned by Yelp, Google and Facebook and are being used to link to their review sites for Moon Valley Nurseries.